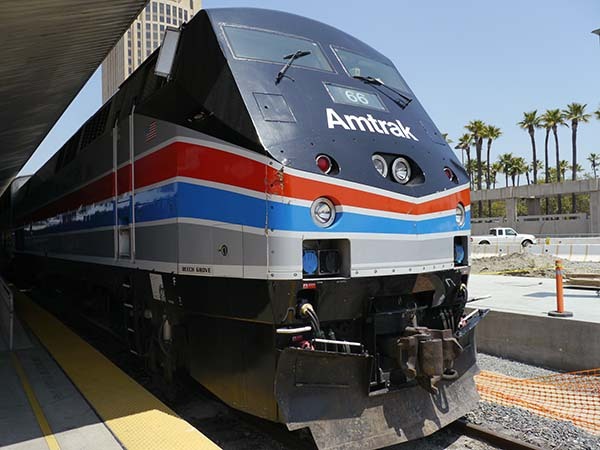 Authorities were investigating a fatal crash involving an Amtrak train in Oceanside. A pedestrian was struck around 7:55 p.m. April 24 by Amtrak Train 591 in the area of North Cleveland Street and Surfrider Way, according to a Metrolink spokeswoman. The northbound train was traveling about 35 mph when a man ran toward the tracks and dove in front of the train, according to Deputy Jason Burk of the San Diego County Sheriff’s Department. The man was struck by the train and pronounced dead at the scene, he said. Metrolink Train 608, headed south to Oceanside, was canceled in San Clemente and an Orange County Transit Authority bus was used to take the roughly 15 people aboard to their destination, according to Metrolink. This was my dear friend Mike – a lovely and sensitive, smart man who hid his depression too well. How tragic that he felt that this was his best option. If you or anyone you know is feeling THIS despondent, please seek help. It IS out there… RIP Mike.